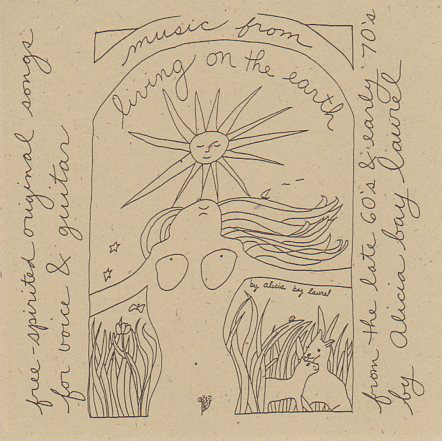 Posted on January 30, 2007 by Alicia Bay Laurel	in Blog. 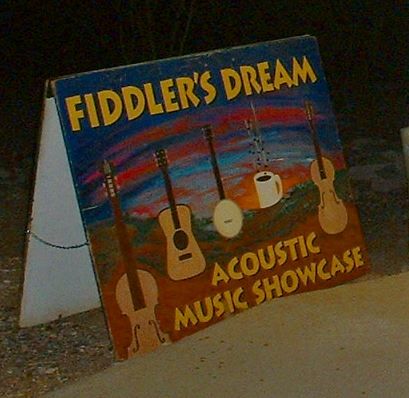 Friday night, January 26, 2007, I played an all-acoustic set at Fiddler’s Dream, a small night club at the back of the parking lot of the Friend’s Church of Phoenix, on Glendale Avenue and 17th Street in north Phoenix. 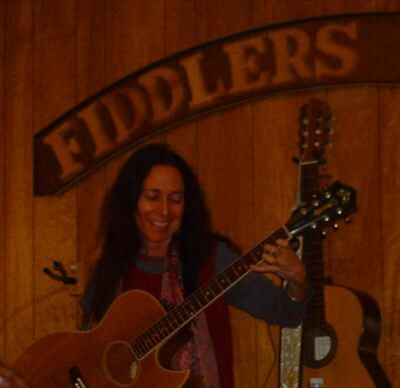 Staffed by volunteers and strict in its rules against electronic or amplified instruments, Fiddler’s Dream demands that its patrons maintain perfect silence during the performances, something rarely seen in the United States outside of classical music venues. In Europe, it’s not unusual at all. Audiences for all kinds of music actually stop talking and listen to live music. 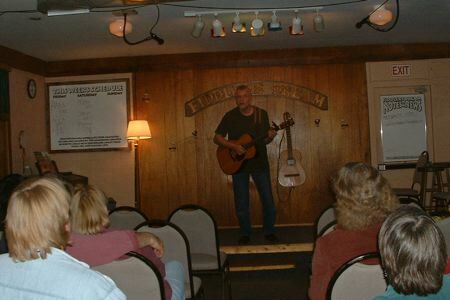 The first of the two acts was Hans York, a German singer/songwriter/guitarist living in Seattle who had booked himself on a three month solo tour of various churches, house concerts, and other small venues, not unlike what I did in 2000 for eight months. 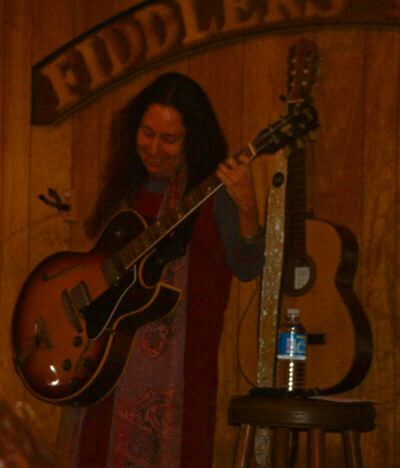 I was enthralled with his guitar playing and his singing, and appreciated the gentleness and nature images in his lyrics. What I noticed after I uploaded this photo to my computer is that Fiddler’s Dream actually does have sound reinforcement! See the two microphones on the ceiling on either side of the stage lights? 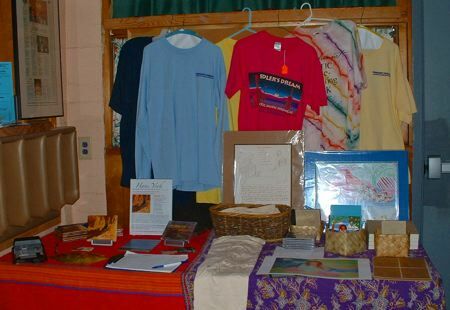 Hans and I each set out displays of our wares below the Fiddler’s Dream t-shirt rack. Having an attentive audience turned on the comedienne in me. I just let her rip. Sarah Curtis, a lovely young friend of Tracy Dove’s, took the photos of me. I performed songs from all three of my CDs, and I had fun playing with guitar the songs from What Living’s All About that I had recorded without guitar, so that people could hear how they sounded when I wrote them.